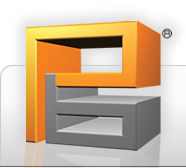 PIXELBIT New Media Group delivers exceptional solutions for any business size and type. Whether you are looking to reduce overhead costs, increase sales or reach new target audiences, we have what it takes to get you there. Our solutions can be seamlessley blended with existing marketing products. Have a brand new start up? We can help. The professionals at PIXELBIT can help you with your marketing strategy from Soup to Nuts. We can start with your print materials, then implement your online strategy and finish with your online marketing. Looking to take your business to the next level? One of our marketing strategists can sit with you to evaluate your current brand and marketing strategy. We can identify weeknesses as well as it strengths. A pending crisis situation. The scenario that could go either way. One shot with the news media. The CEO doesn’t want it left to chance. The board insists on getting the best. That’s when Jeff Caponigro is called. One of the most respected public relations professionals in the United States. Offering Risk Management, Media Relations, Social PR and Media & Presentation Training. The Veteran of Foreign Wars has contracted PIXELBIT to re-design its state wide website. The new site features a new modern look with some great functionality to allow veterans to gain access to resources and events. In addition, a new back end feature to allow administrators to manage reports and update site content. Keifer Automotive Group is a premier auto collision experty and specialty manufacturer of limited production vehicels. In addition, Keifer offers production painting and short run painting of parts for the automotive industry. The owners of Keifer Automotive Group are top notch and we are excited to work on this project. 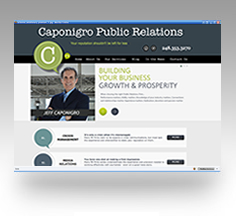 Jeff Caponigro offers Crisis Management, Media Realations, Socia PR and Media & Presentation Training. This was a great project to work on. Jeff was amazing to work with and the end result really mirrors his professionalism. Designated Driver Services Launches New Online Identity. Having a safe ride home is paramount if you have had too much to drink. But, what about your car?! Did you know that Designated Driver Services get YOU and YOUR CAR home safe. DDS contracted PIXELBIT to re-design their website as well as create all of their print marketing materials. Michigan Technology News - It's time for a new more modern Look. Mike Brennan and Michigan Technology News has been a client of PIXELBIT since 2000. Over the years, PIXEBIT has assisted in the creation and delivery of Technology and Entrepreneur News in Michigan. PIXELBIT is currenty working on a NEW creative for the website interface as well as a Back End web appication tool / CMS system that will allow Brennan to manage and publish the news.